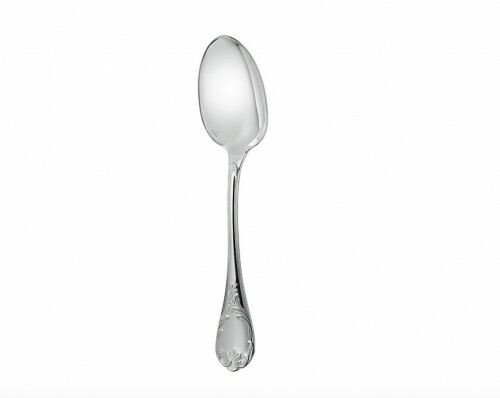 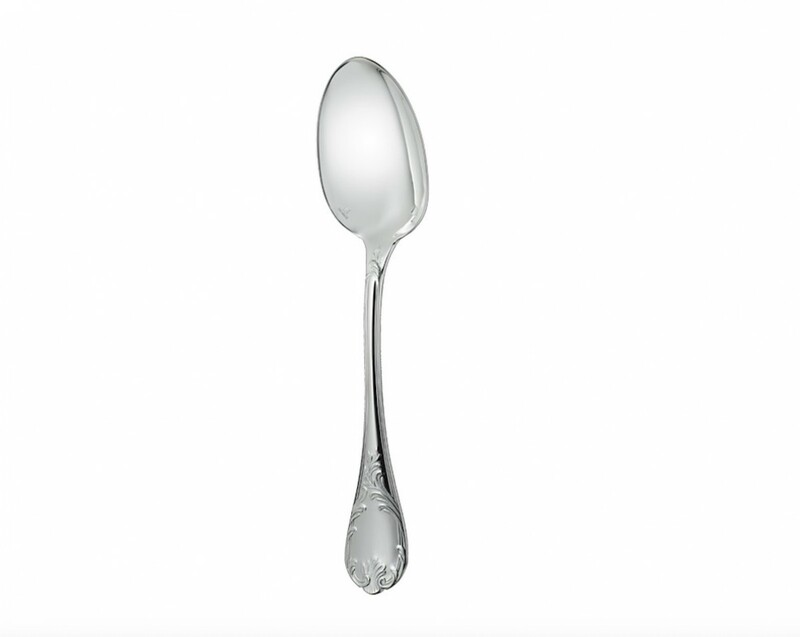 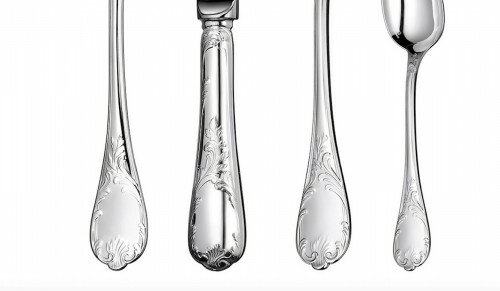 Pattern also known as "" or ""
This silver-plated espresso spoon in the Marly pattern is perfectly sized for use with a demitasse cup. 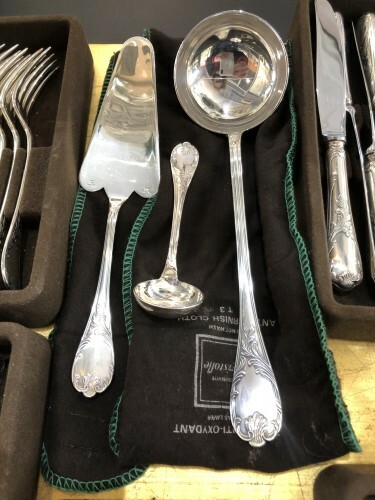 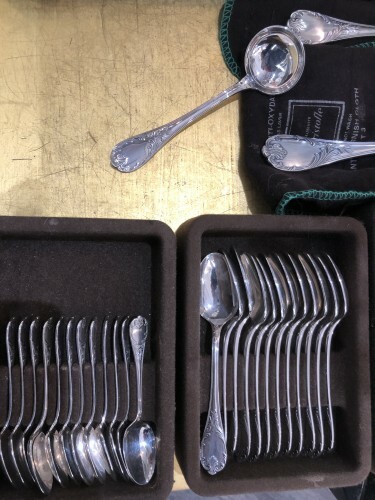 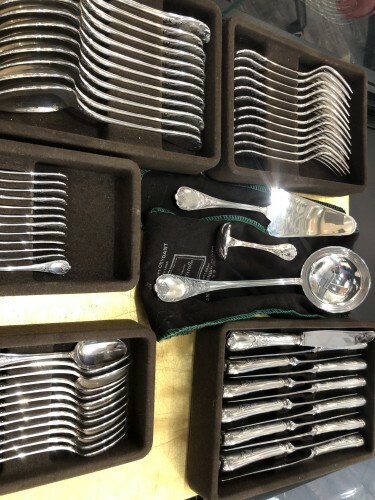 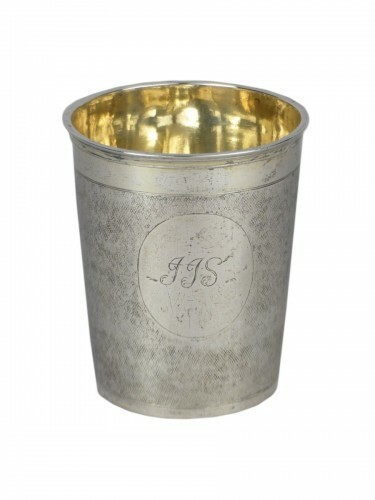 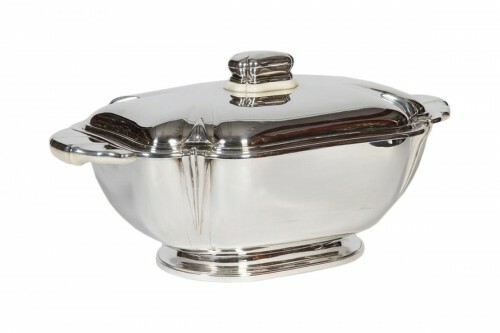 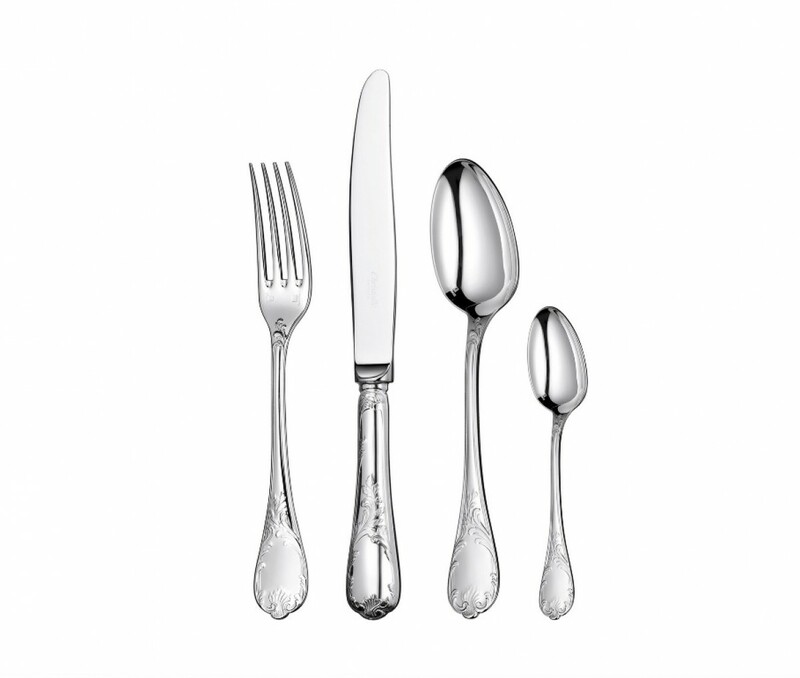 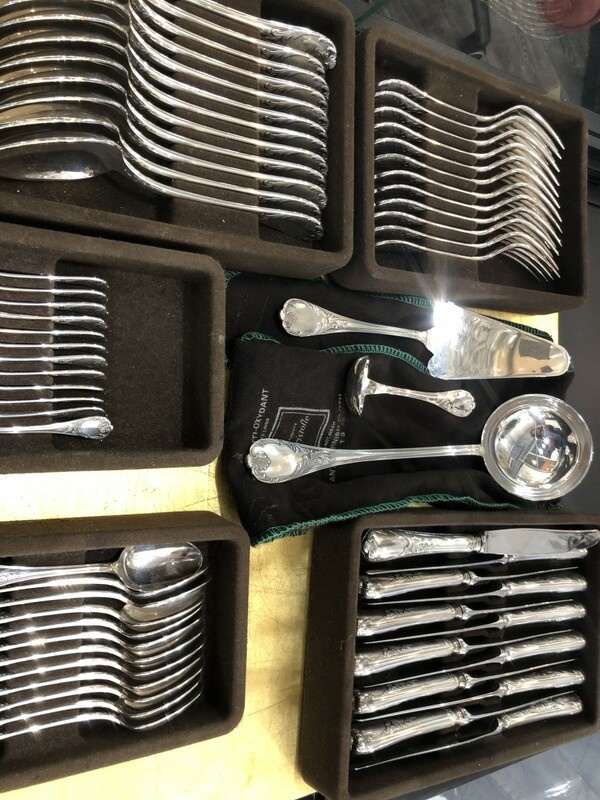 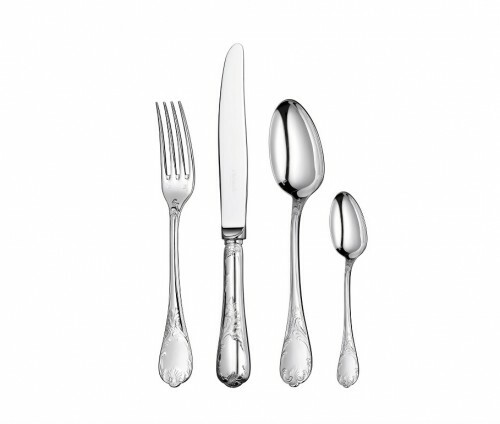 A 60-pieces silver plated flatware set in the Marly pattern includes service for 12 guests and comes with a storage chest. 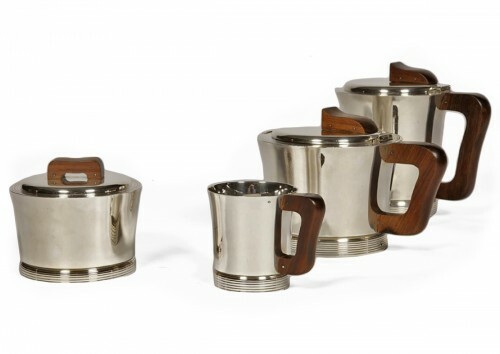 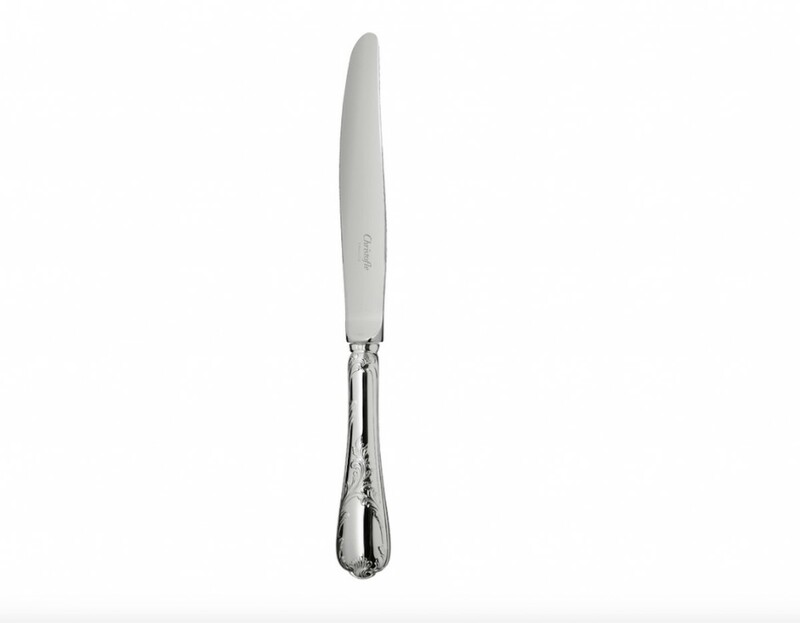 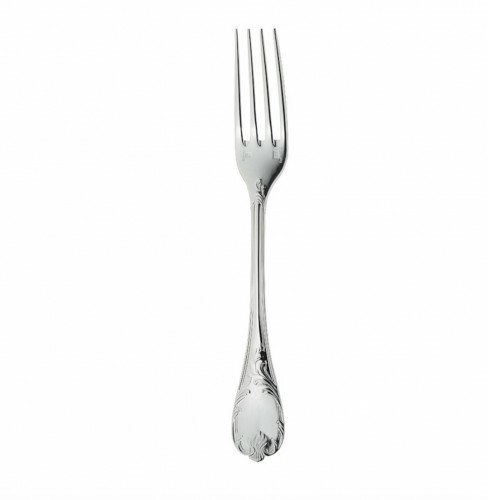 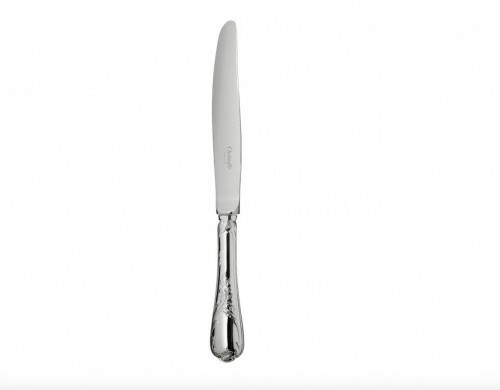 Contains 12 of each of the following: dinner spoons, dinner forks, dinner knives and coffee spoons and Moka spoons. 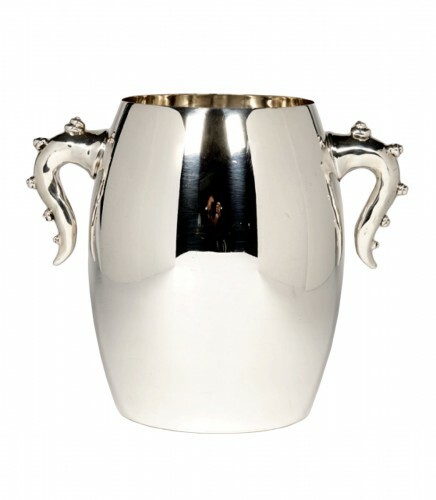 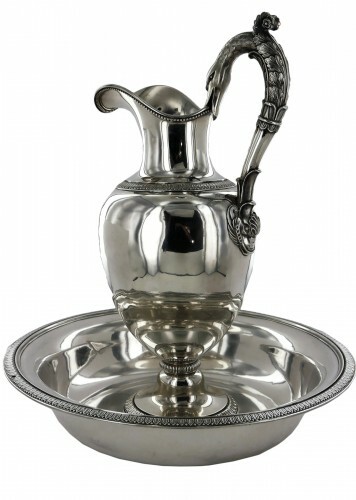 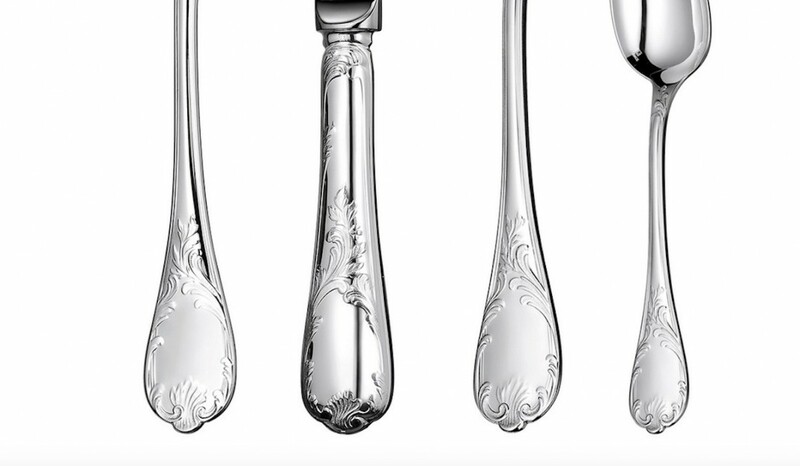 Marly, named after a no-longer-standing pleasure palace built by Louis XIV outside Paris, has been one of the most detailed and ornate patterns in the Christofle’s catalog since it was created in 1897. 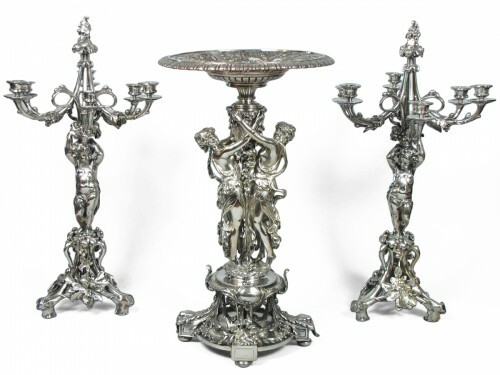 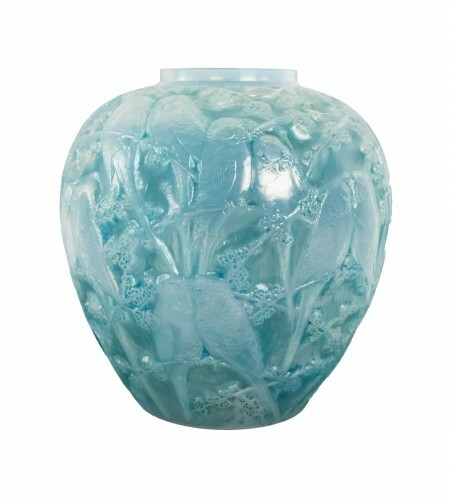 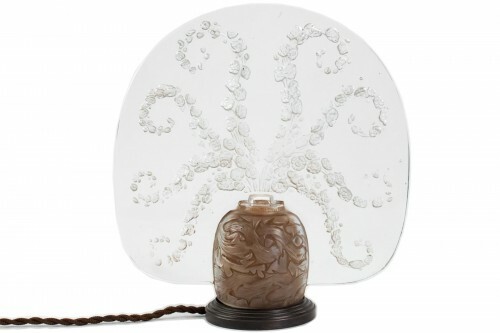 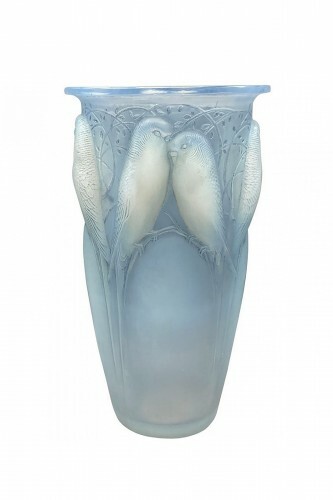 The fine chasing is an exquisite example of Rocaille with its asymmetrical crawling plant and shell motifs.